Luke Morris may not be the most well known of jockeys, and Amy Weaver not a household name amongst trainers, but both are doing all they can to spread knowledge of their skills with some international success. Morris puts in a fair few miles in Britain every year – with almost 5,000 rides in the last four seasons you can’t rule out going to any track for a race. 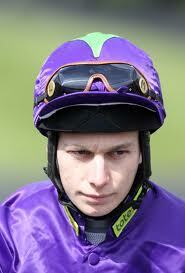 Today he rides in Qatar, a chance opportunity brought about by a short suspension here in England. Morris set off to Dubai for a holiday, with a couple of rides pencilled in for Meydan next weekend. Whilst there, local trainer Fawzi Nass signed him up for today’s Qatar 2022 Invitational Cup, which highlight’s the first day of the country’s major meeting, taking place in the capital, Doha. Amy Weaver runs one of the smaller yards at Newmarket, with just 23 boxes in the stables at the bottom of Warren Hill. This winter she has started up a partnership with Wildcard Racing to put together an American Adventure. The partnership bought three horses specifically to race in America during the close season here. Things didn’t start off too well when one of the horses, Marford Missile broke a leg and had to be put down. But last weekend saw a definite upturn in fortunes as both Julius Geezer and Marchwood won races within the space of 24 hours. Now Weaver will be looking for a further opportunity for Julius Geezer to prove his worth. Another win and he too will surely be claimed, leaving Weaver plenty of time to gear up her Newmarket string for the summer here.